11 August 2010 – Day Off!!! 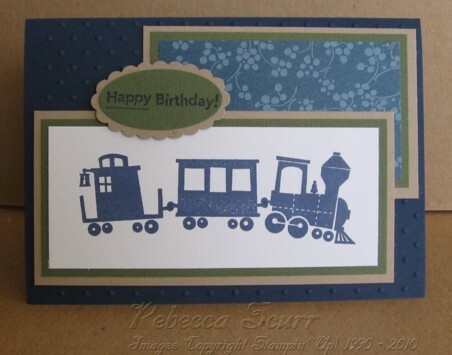 I am enjoying the Brisbane Show Day holiday with a wonderful day of stamping!! How fun is that!!! 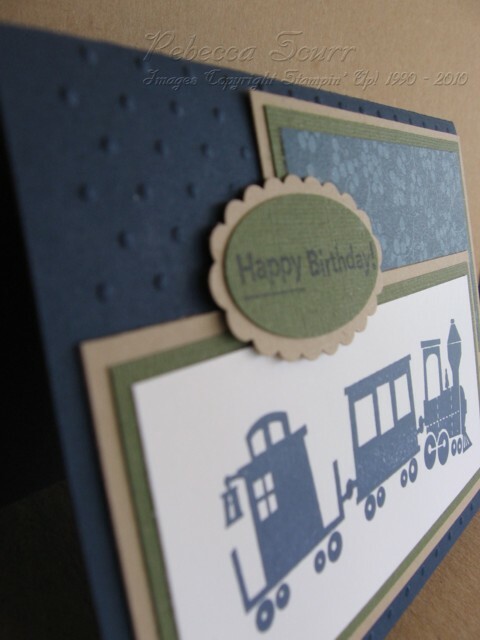 I needed a card for a friend’s birthday tomorrow, so here is one that I cased from Splitcoaststampers, (Thanks Chicagogirl). As you can see my card is a little smaller than her’s and I’ve used different paper. Accessories: Scalloped oval punch, oval punch, Polka dot embossing folder.